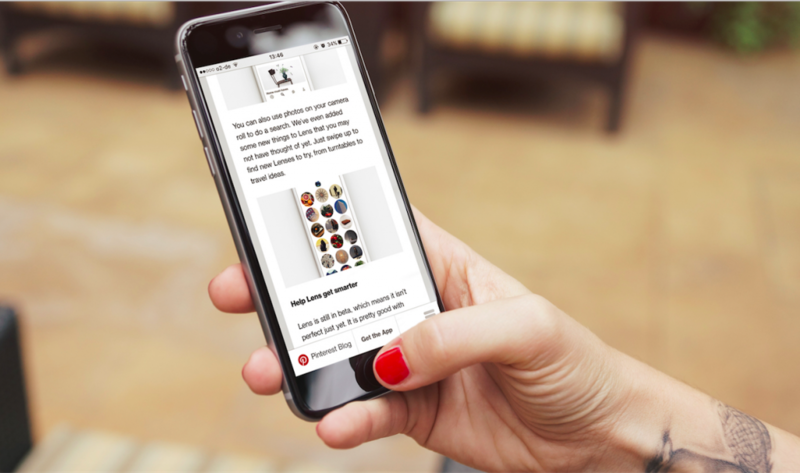 Pinterest has released its visual discovery tool, Lens, to all Android and iPhone users in the US. 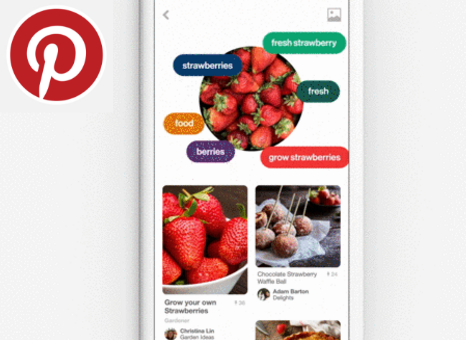 As part of Pinterest’s strategy to capture some of the lucrative search market by mastering visual search, this is a significant move and is one that will undoubtedly extend beyond the US soon. 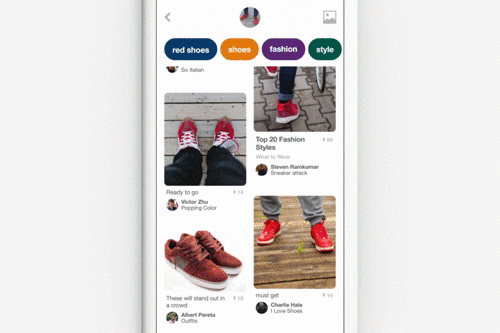 Within the last year, Pinterest has launched a range of new search and e-commerce products, including their paid search partnership with Kenshoo, Shop the Look, and Instant Ideas. No prizes for guessing which search giant they are taking aim at there. Lens will be central to the fortunes of Pinterest’s decidedly alternative entry to the digital advertising market, so we have taken a hands-on look at what it is, how it works, and just how effective it is. 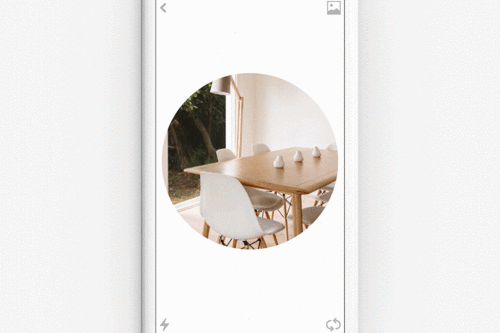 Lens is a point-and-shoot discovery tool that analyses and interprets smartphone images to find related Pins and ideas, then suggests them to the user. The objective for Pinterest is to turn the world into a set of Pins that can be captured, discovered, and linked to each other, typically via mobile devices. To get started with Lens (if you are in the US), just download or upgrade the app, then tap the search bar within the app, and select the red camera icon. 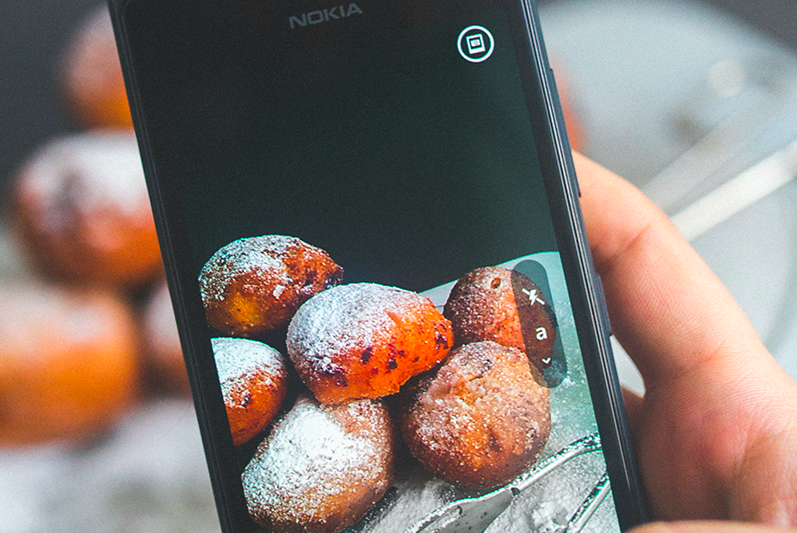 How does Pinterest Lens work? 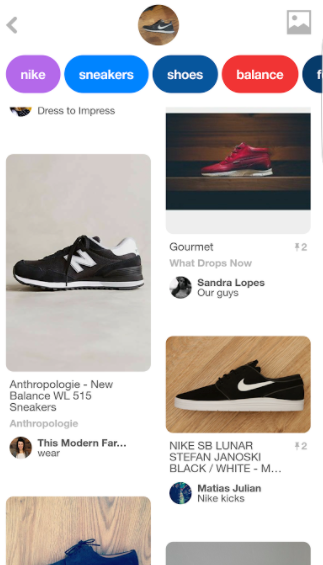 Once Lens is open, Pinterest’s visual discovery technology springs into action. This is vital to the successful functioning of Lens. Pinterest’s technology works best when it can isolate a specific item, then cross-reference the identified form with its database of images, using their own search platform. The object is broken down into segments; by color, shape, or product category, for example. Pinterest has developed confidence metrics to include in this calculation, to account for uncertainties caused by fuzzy images or a combination of objects within the same frame. 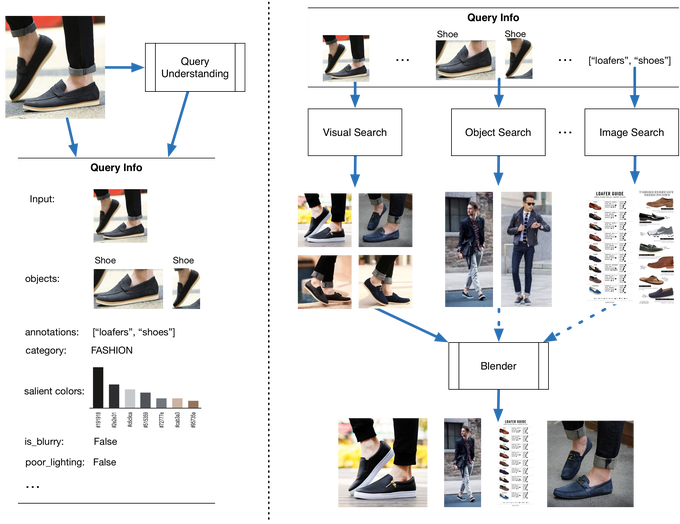 This process (outlined below in a handy diagram from TechCrunch), will allow Lens to move from recognizing a shoe, to recognizing that it is a loafer, through to recognizing that the loafer is, in fact, blue. So far, so typical image search. Amazon’s FireFly technology aims to provide the same service, in technological terms, and its image recognition abilities are impressive. Google has made significant strides in this area, as has Instagram. Where Pinterest hopes to add a new and rewarding dimension is by incorporating what are typically the reserve of human perspectives: value judgments. By knowing the style of the loafer, Pinterest could recommend accompanying accessories, but could also learn something about the user’s taste. This knowledge helps to refine suggestions, so the user experience is constantly improving. It is in the conceptual leap from the product in view, to related products contained in Pinterest’s database, that Lens could become most useful for consumers and marketers. Where Pinterest has an advantage in the visual search race is in its vast database of images, which are typically product-led, clearly labeled, and posted in relation to similar items. All of this theory is seductive, for Pinners in search of new ideas and for advertisers in search of a cost-effective alternative to Google search. But how well does it work in practice? I used the app as an aid during my search to replace some much-loved but battle-weary sneakers. 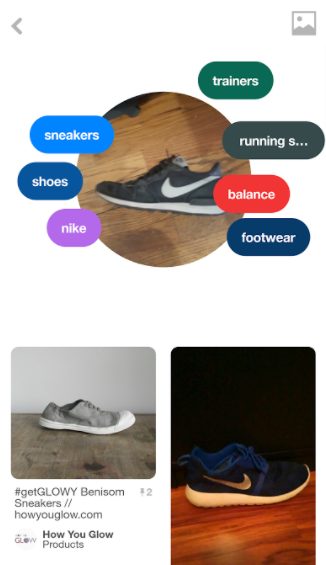 Pinterest’s colourful tags on the left and right reveal the identifying factors of the shoe, which are mainly pretty accurate. They have never been used for running, but I understand and accept that they could have been. These images provide an option to click through and, in many instances, purchase. And this is where the lines are blurred – beautifully so, from Pinterest’s perspective. Not all images will lead to that option; many are just other Pinners proudly sharing their shoes, providing inspiration to others. This engenders trust, a fact that can benefit advertisers if they manage to blend in with this ethos of inspiring and sharing, rather than just selling. The demarcation (which is, admittedly, dissolving rapidly) between paid and organic results on Google is at odds with what Pinterest could achieve here, if advertisers pay attention to the platform and its users. That said, I tried Lens out with a number of items (a chair, a pencil, and a plant pot, to name just three), and there was a pattern across the results. The image recognition is great, and it’s easy to use. Where things become murkier is within the suggested results, which show a lot of potential but are the output of what is still a work in progress. Pinterest has quite intelligently pre-empted and sidestepped these potential recriminations by admitting up front that this isn’t perfect – yet. One criticism of advances in consumer-facing AI is that it simply hasn’t delivered on the Utopian visions we were led to believe would be reality by now. The potential of this technology is such that people can’t help but get carried away – a realization that has fed Pinterest’s decision to temper expectations. This attitude of openness and collaboration could safeguard them against some ripostes to unconvincing results in the early stages, but there can be no doubt that haste will be of the utmost concern as Pinterest tries to monetize this technology before the competition gets there. 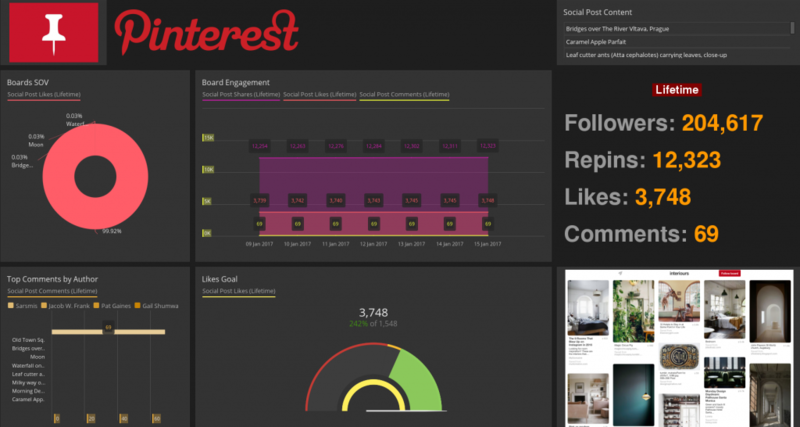 How would advertisers measure performance on Pinterest? One of the enduring attractions of Google AdWords has been its measurability, an area where it remains without a serious competitor. 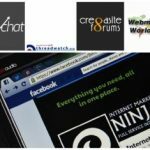 Brands accustomed to this satisfying marketing mechanism may therefore hesitate before investing their AdWords dollars in a platform like Pinterest. No doubt, any such forays will be experimental in nature through this year, with few brands willing to take a serious risk on a nascent search technology when such a dependable, dominant alternative exists. Of significant note in this regard is the recently-announced integration of Pinterest data into Datorama, a cross-channel reporting platform. This API connector adds a new level of measurement and accountability for the platform, which will be welcomed by anyone investing in Pinterest advertising. We should expect this functionality to be standard for reporting platforms in the near future. Measurement is not the only hurdle for Pinterest to clear, of course. Pinterest’s number of daily active users and their propensity to purchase will also be under scrutiny, metrics that will be of significant interest when broken down by industry. 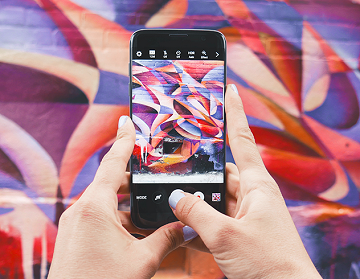 Pinterest is unlikely to be the right fit for every company, no matter how effective its visual search becomes, but for some it could be the perfect match. With the advent of Lens in the US, and Pinterest’s accompanying admission that the technology is “not perfect”, there is plentiful room for experimentation. The search results will continue to improve and, with some senior recruits from Google on board to lead their visual search team, Pinterest means business. Time will tell whether consumers and advertisers have the patience to get on board for a bumpy, but potentially very fruitful, journey. 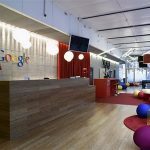 As Google’s index goes mobile-first, consumers get to grips with voice search, and technology advances to avail of image identification in our predominantly visual culture, new opportunities are opening up for the competition. This week, Google’s emoji conquest of the SERP is advancing on AdWords titles, Snapchat influencers may be fleeing the platform for greener pastures, and an unconfirmed ranking update dubbed “Fred” has been shaking up the SERP. With links continuing to reign supreme in SEO, but the difficulty of acquiring them increasing, influencer marketing can help you to generate authoritative links with the additional benefit of increasing your user engagement signals, traffic, and visibility.